Our Cedar Log Low Boy Dresser is made from beautiful cedar wood and character hand peeled cedar logs and is extremely sturdy and durable. We use only high quality metal drawer slides in our dovetail drawer boxes. 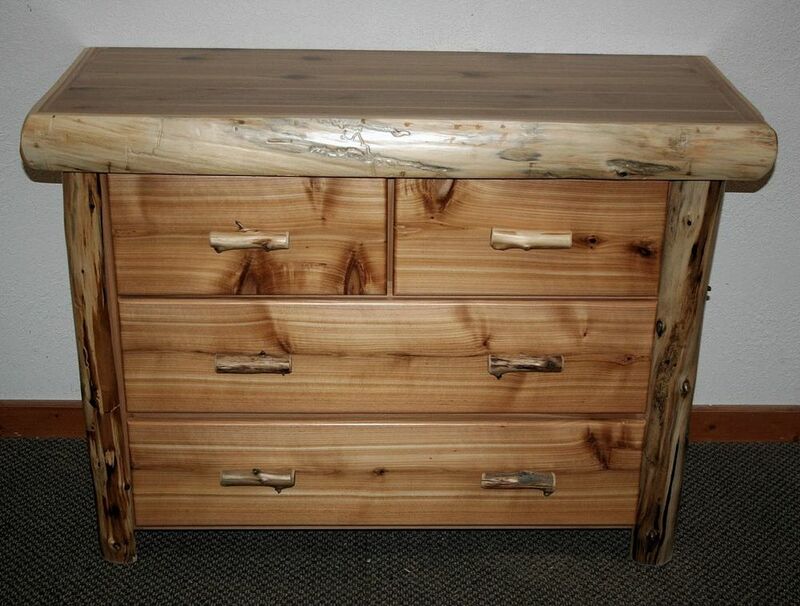 This dresser measures 44W x 20D x 36H and can be made in custom sizes if you prefer a different size!